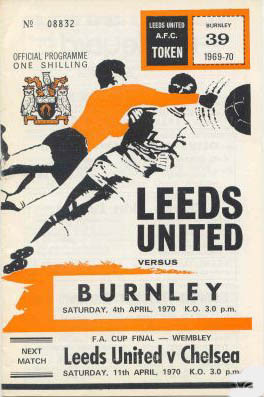 Date: Saturday, 4th April 1970. 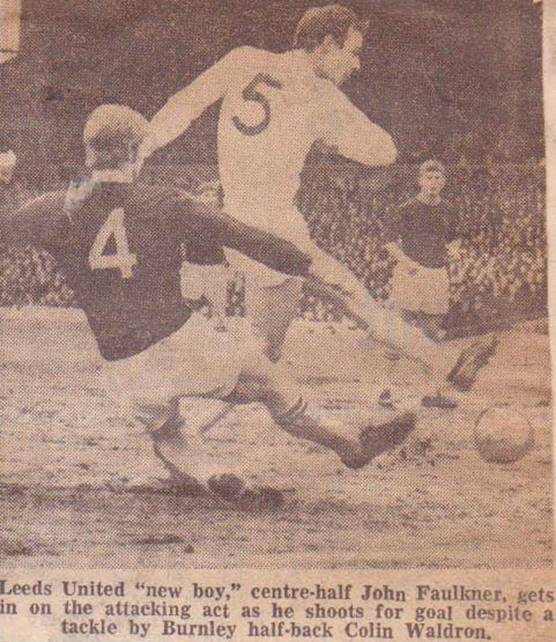 Score: Leeds United 2 Burnley 1. 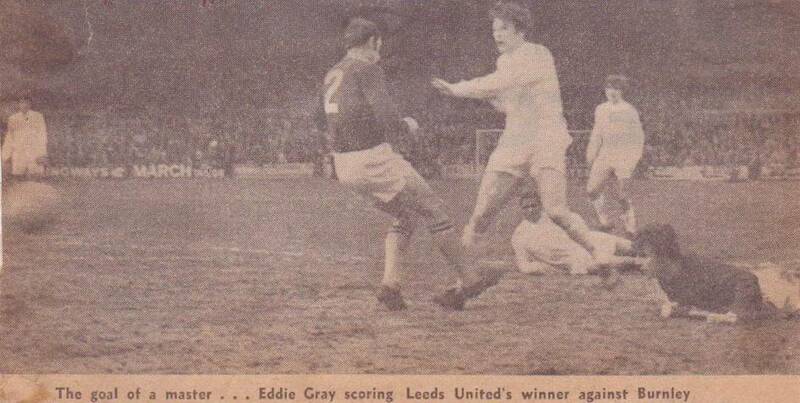 Scorers: Leeds United: Gray (2). 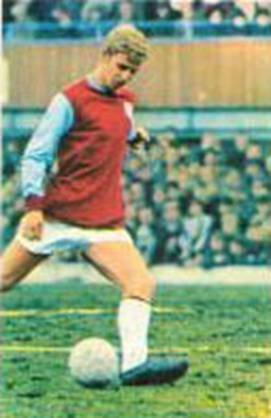 Burnley: Faulkner (og). 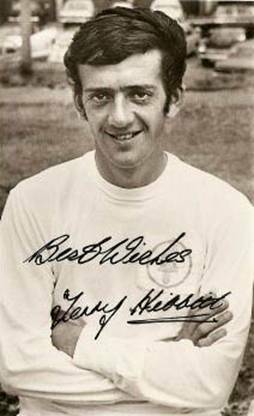 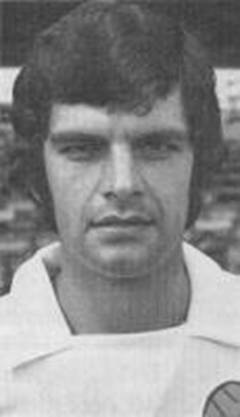 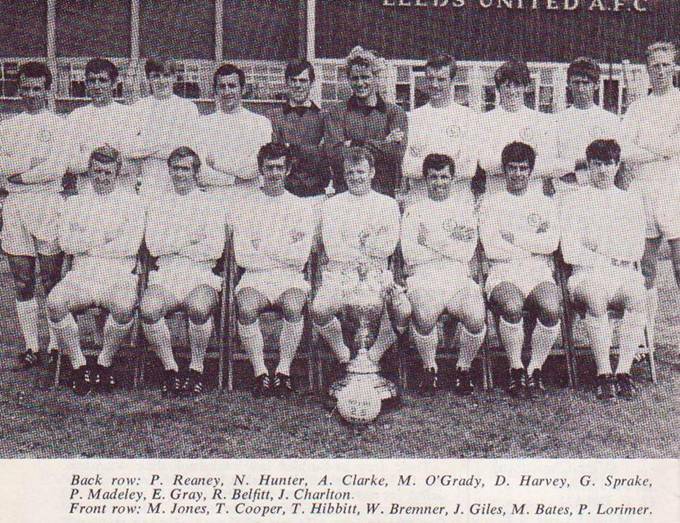 Leeds United: Harvey; Yorath, Peterson; Madeley, Faulkner, Gray; Lorimer, Bates, Johanneson, Galvin, Hibbitt. 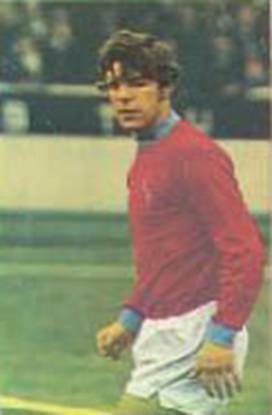 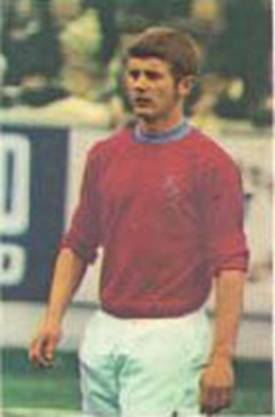 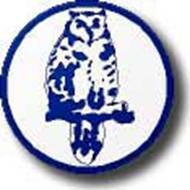 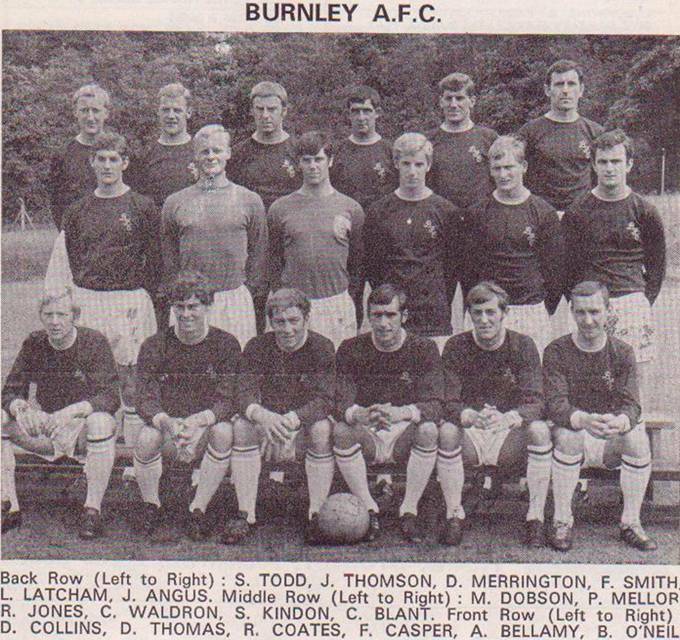 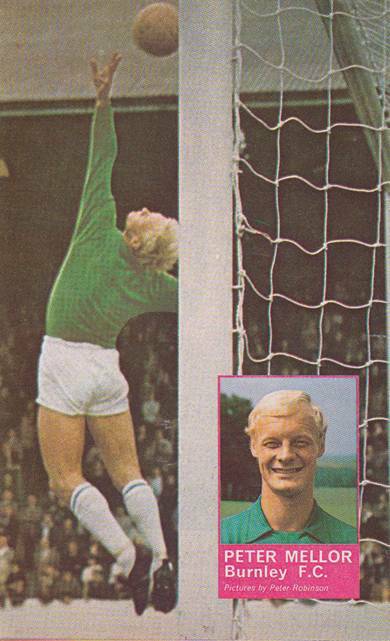 Burnley: Mellor; Angus, Docherty; Waldron, Dobson, Todd; Casper, Bellamy (O’Neill), Probert, Thomas, Kindon. 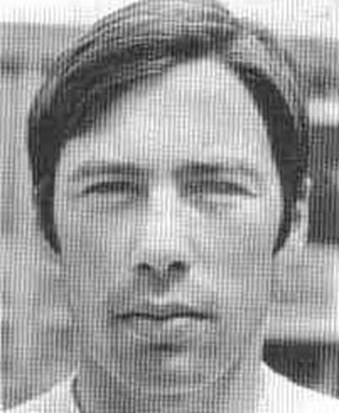 Referee: Mr J.K. Taylor (Wolverhampton). 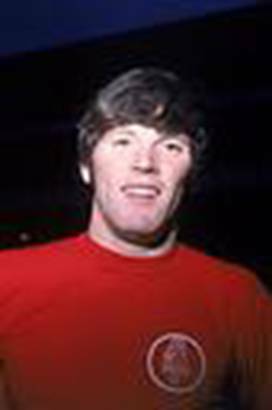 With the League title gone, weary United were dealt another blow twenty-four hours after their European Cup Semi-Final home failure against Celtic. 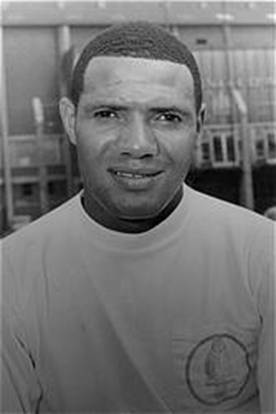 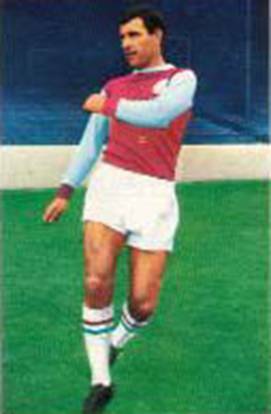 Right Back Paul Reaney had sustained a fractured leg in a meaningless 2-2 draw at West Ham United. 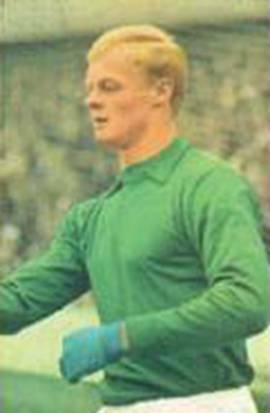 The injury cost him a place in United’s FA Cup Final line-up against Chelsea and a trip to Mexico as part of England’s World Cup squad. 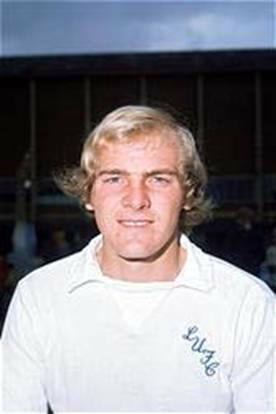 Manager Don Revie sent out a patched up side on the Saturday before the FA Cup Final, lacking Reaney, Gary Sprake (bruised shoulder), Mick Jones (leg strain), Terry Cooper and Jack Charlton (shin injuries) and Norman Hunter (knee injury). 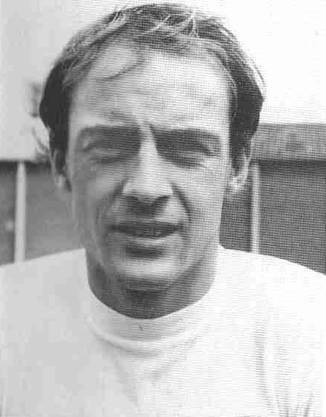 However, the United youngsters were not fazed and Gray produced a truly stunning winner on seventy-one minutes. 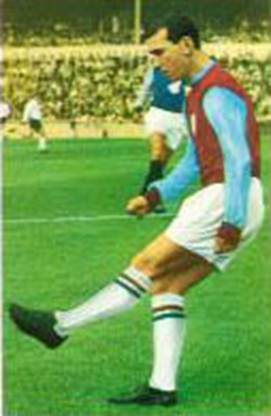 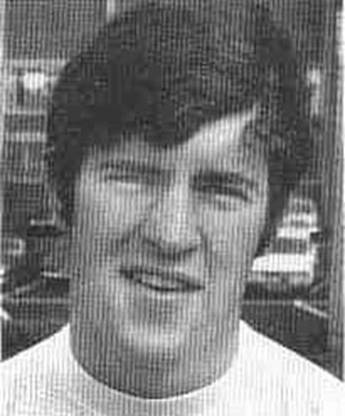 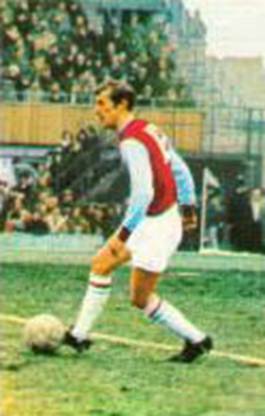 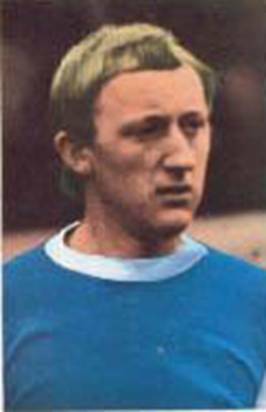 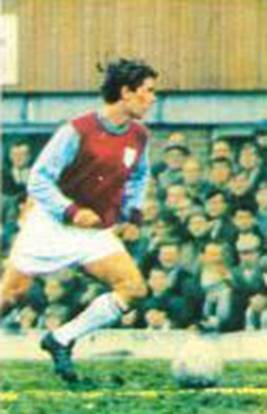 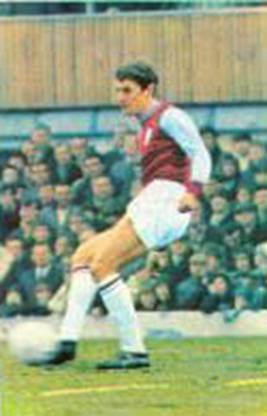 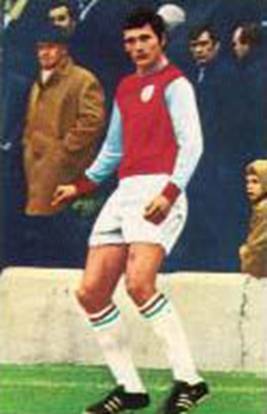 He was hemmed in on the bye-line to the left of the Burnley goal, but twisted and turned into the box, where a posse of defenders were left trailing in his wake by his mesmerising ball skills, before he thundered an angled shot past Mellor. 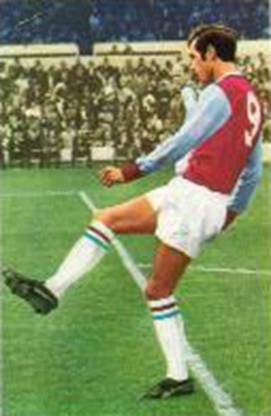 It was an amazing solo effort and was the main topic of conversation the following day as fans queued for FA Cup Final tickets alongside touts from London who were offering £25 for £4 tickets, but they were worth just a fraction of the quality of Gray’s magnificent goals against Burnley.